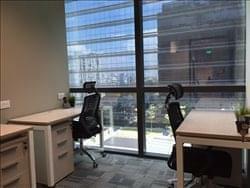 Find My Workspace lists over 95% of the serviced offices market in Paya Lebar. Simply click Request Quote to check pricing for one office, or Add to Basket for multiple offices. These ready-to-use, fully equipped office spaces are perfect for professional business people with companies of all sizes who want to work efficiently. In this centre, you’re offered the flexibility to expand, downsize and adapt office space to fit changing business needs, with the additional benefit that you can access the office securely 24 hours a day, including access to meeting rooms and conference facilities. High-speed internet, a phone system and reception services to ensure that clients have everything they need in this centre. Virtual office and co-working options are also available to clients. To obtain information for your selected Paya Lebar Serviced Offices, please tick the "Add to basket" box for each office you prefer and complete the form below. We will then send a detailed report via email.